Yat Symonds, 'Yat' an old English word for Gate or Gorge, is situated along the Wye Valley, with the 135 mile River Wye running through it. 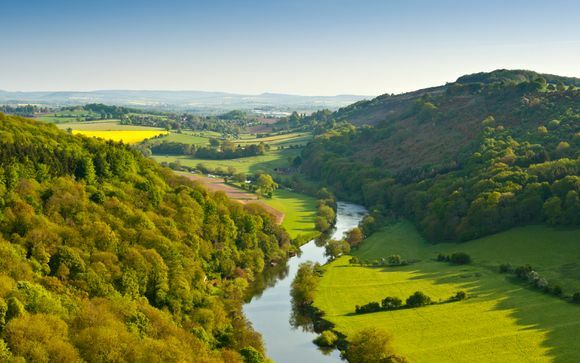 The river is the 5th largest in the UK, and been running for thousands of years, providing plenty of picturesque beauty for all those who venture out to see it. It has become a very popular area for canoeing, kayaking and and fishing, and is a major focal point for this part of England. The hotel is situated at the bottom of Yat Rock, where you can see a famous viewpoint overlooking the river and valley - a must for anyone visiting. There are thousands of miles of footpaths within the area, each offering some outstanding scenery. Rock climbing is also available, for those who are looking for a challenge. Nestled amongst five acres of grounds at the bottom of Symonds Yat Rock, welcome to The Royal Lodge, a homely 4* hotel overlooking the winding River Wye. Originally built in 1876 as a royal hunting lodge, it was converted into a hotel in the 1920s and has since established itself as a top quality property in the area. It boasts an award-winning restaurant and terraced gardens dotted with magnolia and wisteria. You may choose between a selection of rooms. Just for you: early check-in (subject to availability). 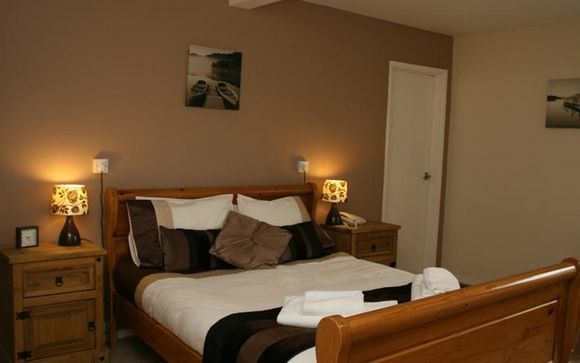 Standard Rooms are located on the first floor and come with a small en-suite shower room. They also feature calming garden views. 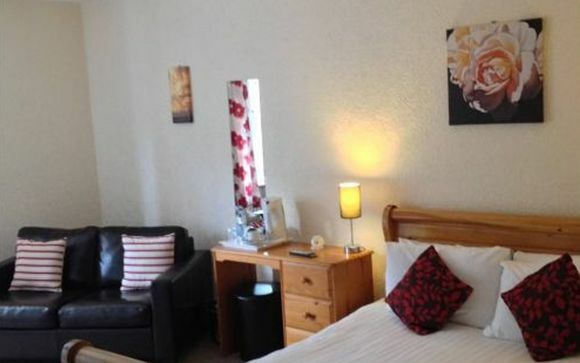 Classic Rooms are located on the first floor and come with leather sofa and small en-suite shower and toilet with separate wash basin in bedroom. They also feature calming garden views. 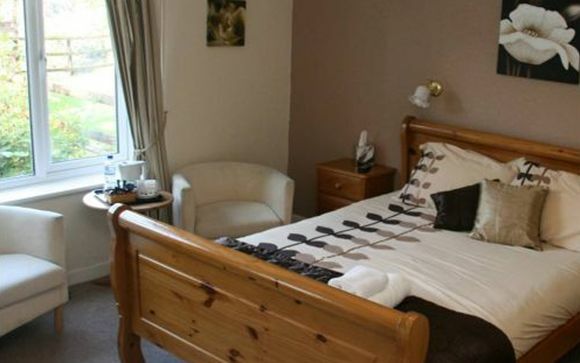 Kingsize Rooms are located on the first floor and come with leather sofa and large bathroom with shower over bath. They also feature calming garden views. Just for you: a complimentary bottle of wine (if 2 people are dining on a 3 course meal at the hotel restaurant). Having won the AA Award for their breakfast for four consecutive years, you can expect a warm, hearty meal first thing in the morning. Choose from either Continental or Full English, with a range of cereals, toasts, and fruit juices to get you off to the best possible start. Whether you want a light bite, or something substantial to last you through to dinner, the lunch menu offers everything from sandwiches, baguettes, ploughman's and more. Using local ingredients wherever possible, the restaurant serves modern and classic British food to satisfy your tastebuds. Daily specials are always available. All the desserts are handmade in the kitchen using quality ingredients, letting you indulge in a little bit of luxury after dinner. Desserts are regularly changing depending on the season and what is freshly available. Wines are carefully selected to ensure they complement the flavours of the dishes served. Locally brewed ales and ciders are always available.